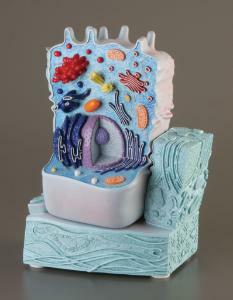 This two-piece animal cell model shows the form and structure of a typical animal cell. 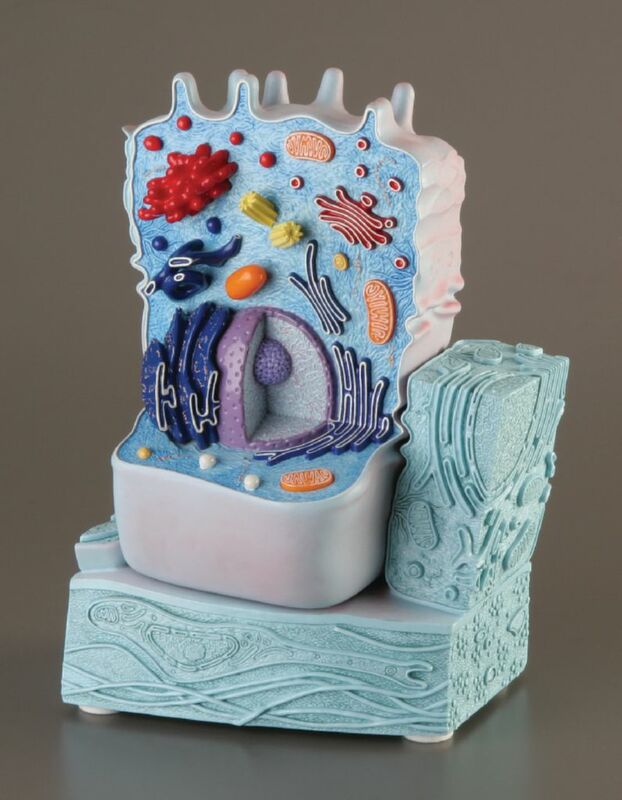 The colorful design and raised-relief organelles highlight important elements of the cell. The extreme magnification, as viewed by an electron microscope, offers up-close views of the nucleus, mitochondrion, smooth endoplasmic reticulum (ER), rough endoplasmic reticulum (ER), basal membrane, collagen fibers, Golgi apparatus, microvilli, and lysosome.